In the Building Momentum Series, one focus included research on passion topics. 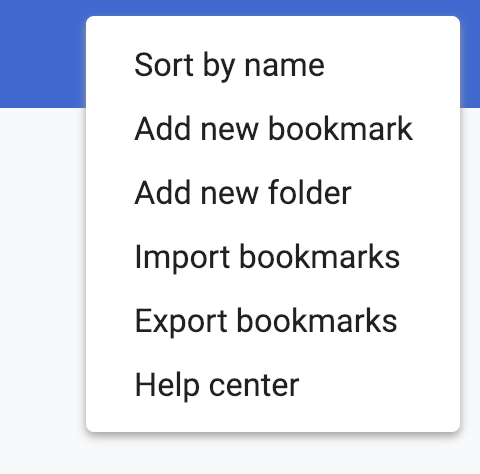 That often results in lots of tabs open and many resources to organize and curate. 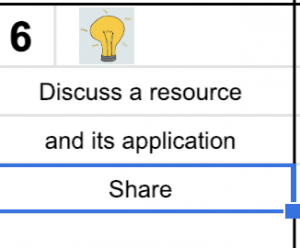 Curation could be in Apple Notes, OneTab, or Evernote. 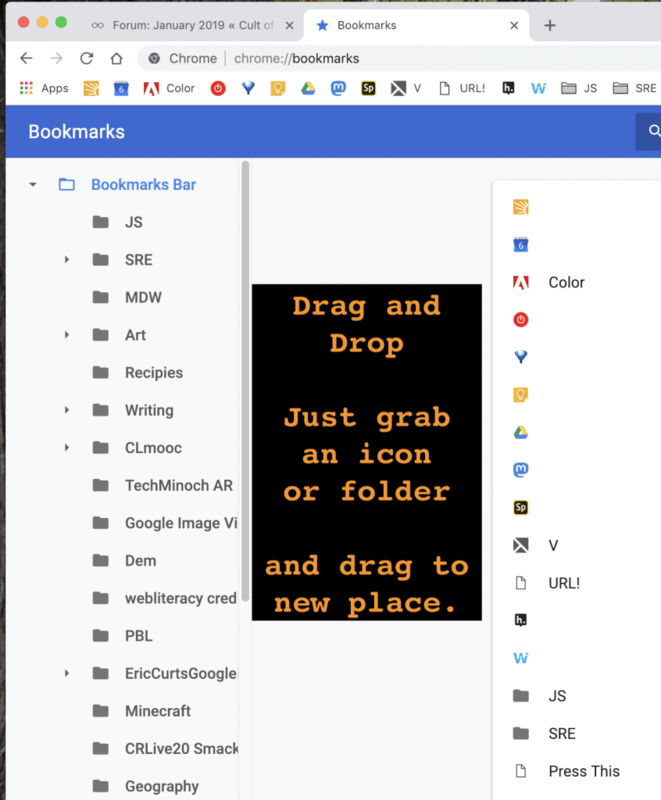 Sometimes, though, the initial and basic organization can be supported with browser bookmarks. I use Apple iMac, iPhone, iPad and Chromebook. 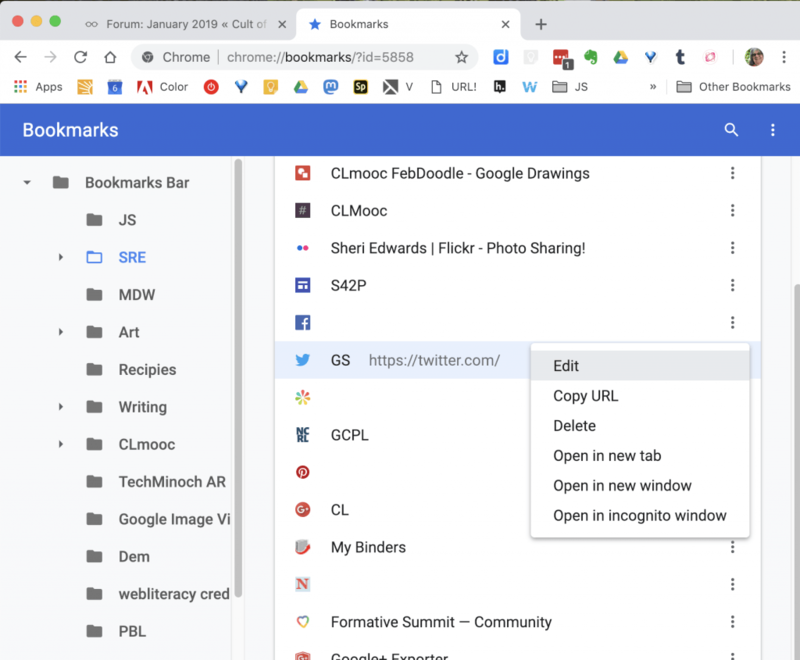 My main browser for research is Chrome– that way all my browser folders are available on the Chromebook too. 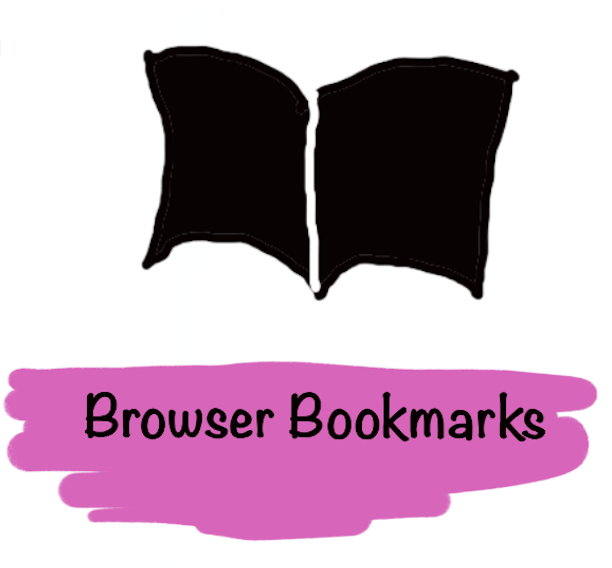 The bookmarks and bookmark bar keep the flow of my work focused. 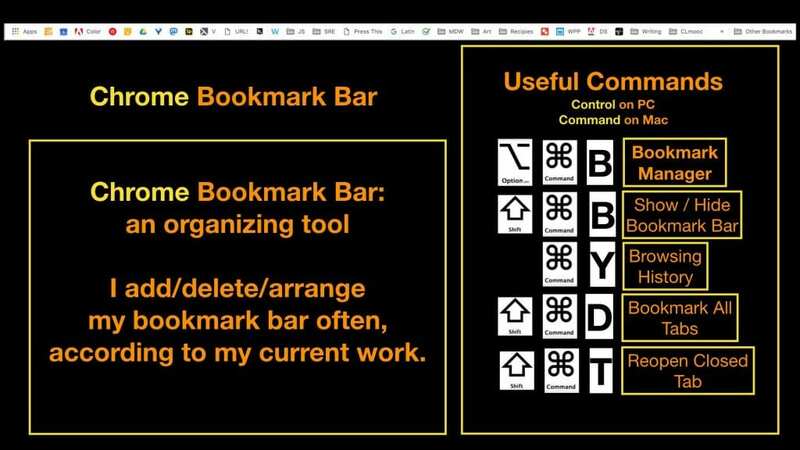 I organize and reorganize the bookmark bar according to the goals of current projects. 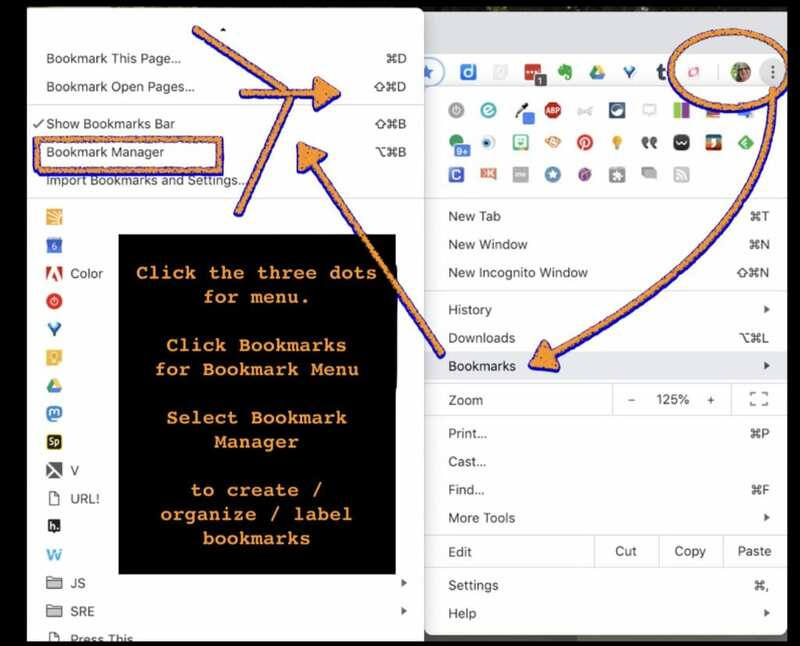 Firefox and Safari also provide ways to organize their bookmark bars, so showing these chrome methods will be helpful as you think through your own browser’s capabilities. The bar is arranged with icons and folders so I can quickly move to what’s needed. How do I get to my manager? I love that all my favorite apps like Flickr and Canva are available with just a click. I love that my thesaurus and latin sites are one click away. I love that my blogging friends are there in a folder, a click away. I love that my Art classes are — yes, a click away. All waiting in my browser bookmark bar when needed. 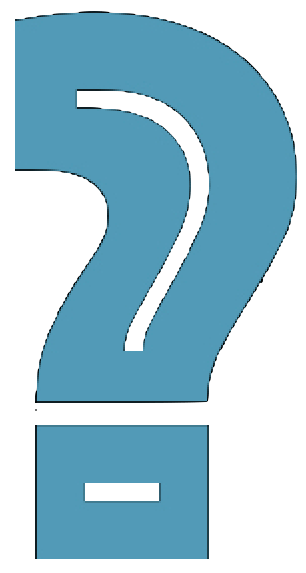 What’s your flow for getting to your frequent sites or saving multiple resources? 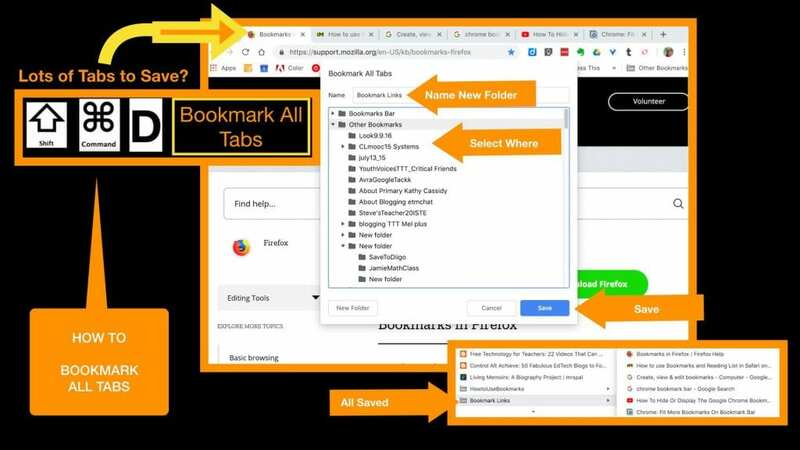 Will you try using folders in your browser bookmark bar?